Zhenya Zhdanova graduated from the Moscow State Institute of International Relations and the Moscow Medical Academy, after which she opened the DivaDecor.ru online boutique. 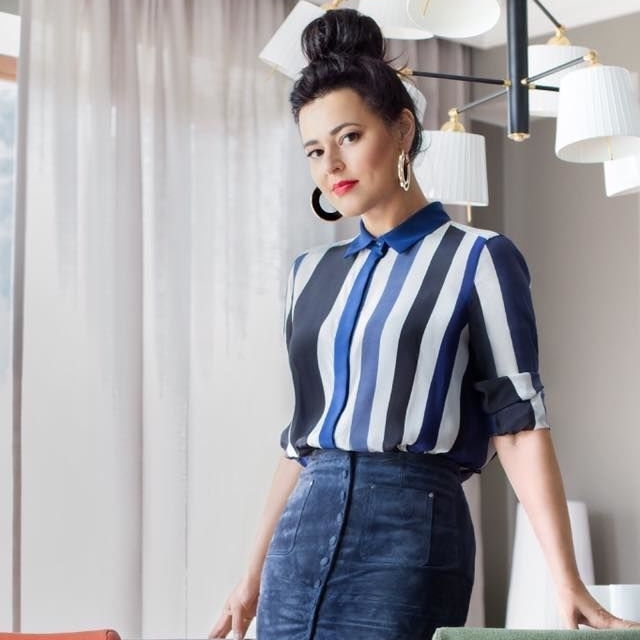 She was included in the top 100 designers, architects and interior decor professionals and was also a winner in the Best of Houzz Design category in 2016 and 2017 and the Client Service category in 2016. She has also been a finalist in the Pinwin competition for designers, architects and interior décor professionals in 2013, 2014 and 2015, and in the Design Debut contest in 2012. She teaches an intensive course in design and decor at the British Higher School of Art and Design. "Round table: Collaborating with the Imperial Porcelain Factory. Young designers competition anouncement"
" Round table: Collaborating with the Imperial Porcelain Factory. Young designers competition anouncement"